There are those who believe that Vaughan, Rivers and Grey were not granted a trial and were murdered on a direct order of Richard, Duke of Gloucester. 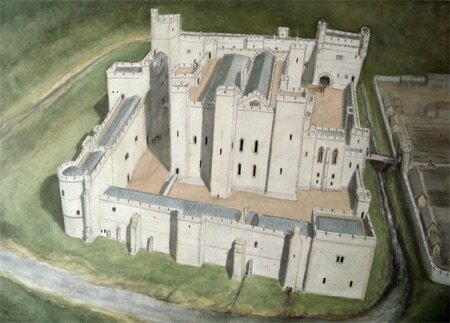 Known to have presided over the execution was Henry Percy, the Earl of Northumberland. Percy was Warden of the East and Middle Marches, this position had been held by his family for generations, and in Gloucester's absence he could well have be given the responsibility of the Western Marches. In these positions alone Percy had the authority to oversee a trial, he also held the title of Vice Constable of England. Rous wasn’t writing years after the event, he was a contemporary writer. I think it's fair to assume that Vaughan, Rivers and Grey were tried. But what was the evidence that they were convicted on? ​The Woodville family were not skilled or brave, they were ambitious and exceeding lucky, they took on the might of the House of York and they won. Their early underhandedness has been mention before, it is only their actions in the April of 1483 that are relevant. They attempted to bypass the protectorate, influence the council, they took control of the English fleet and the king’s money and as the Duke of Gloucester attempted to point out to the council once he arrived in London they tried to raise an army with the intent of depriving the Prince of Wales’s protector of his life, weapons with the Woodville insignia brought as evidence to the fact. ​In a court of law surely this is a case of intent as well as malice aforethought. When the game was up the queen hightailed it, calling on God for protection. Rivers and Grey did not have that luxury, they were the first to feel the sting of the blade on their necks as was Thomas Vaughan, his only crime was being caught up in the Woodville slip stream. Many say that these three men's deaths were a foregone conclusion that Gloucester had every intention of taking power and the crown, but puzzling me for a very long time is the reason Gloucester chose three different places to incarcerate these men and and I believe it does have a bearing on the eventual outcome? 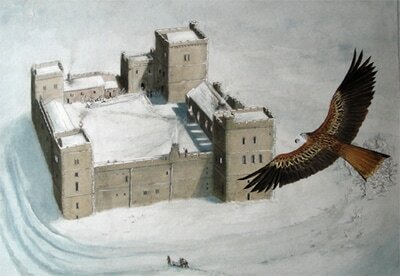 Rivers and Grey were sent to Sheriff Hutton and Middleham castles, both the homes of the Duke of Gloucester, a soft option compared to Pontefract where Thomas Vaughan was sent. 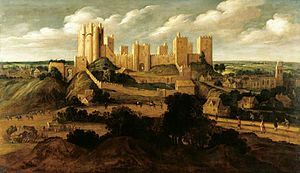 Its seems to me that Rivers and Greys fate was to be considered, Vaughan’s however was not, he was, to a certain extent unimportant, he was cast aside, sending him to Pontefract, the most blood stained castle in England with its history of death and decay was a death sentence in itself. So did Gloucester intend that these men should die? I don’t believe he did. Although all three men were high status prisoners, Rivers and Grey were the two best bargaining tools Gloucester had. Richard’s initial intentions was to discuss the present situation with the council and if an agreement was reached, that he remained at the head of the council, his protectorship honoured and the equilibrium restored then I believe that Rivers and Grey would have been released and Vaughan along with them. If Gloucester’s initial intention to have them tried and executed straight away why not send all three to Pontefract from Stoney Stratford. ​It was only when diplomacy did not settle the issue, coupled with the uncovered plots, did Richard order his prisoners deaths.